Commercial websites are always popularity and every second entrepreneur for increase sales wants to order a services of webmasters. Usually it is online shop, landing page with offer of services and etc. But overlooks one thing - DDOS protection. The profit depends on the correct operation of the site. Usually competitors do not mind using black methods of raising sales, among which there is the organization of the DDOS attack. If a website without DDOS protection is shutdown, then customers will go to competitors. At this point the question arises - protection from DDOS attacks. 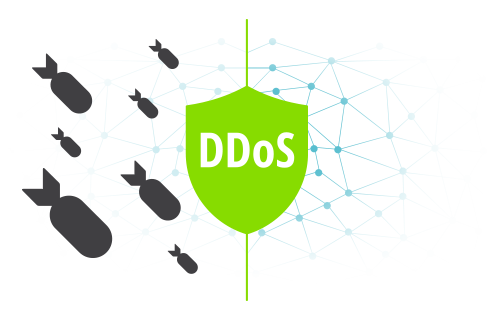 Protection from DDOS attacks - in the 21th century is important question. Here is Achilles’ heel, if protection DDOS attack is absent. The damage from DDOS attacks is hundreds of thousands of US dollars per hour for a simple reason - they do not care about protection in advance. DDOS hosting is always important task. We are clearly aware, that quality DDOS hosting is the keystone to the success of a commercial site. Our 1000Gbps network and a big team of qualified engineers give you a guarantee, that your website will be under a reliable impenetrable roof at any time and with any attack. We are an offshore company registered in Belize. Governments do not have any legal lever for press us nor under any pretext. If you choose us, you can keep calm doubly - both in terms of legal issues, and in terms of protection from DDOS.